Computer parts and hardware predominantly come from Southeast Asia—places like Malaysia, Indonesia, and Taiwan known for heavy industry and large scale mass production. Believe it or not, there are computers and even hardware components manufactured right here in the USA. This isn’t the thousands of enthusiasts building computers in the United States here. Nor is it the niche industry of boutique PC builders that put together high-end custom workstations. We’re talking about major OEMs with US facilities for putting together computers on US soil. Granted, all are assembling computers in the U.S. using parts imported from Asia, Europe, or Latin America. A US Trade Commission paper from 2014 identifies a few notable assembly locations for U.S.-built computers. Apple assembles its Mac Pro desktop line at a manufacturing facility in Austin, Texas. This line of Intel Xeon-based workstation and server computers are geared toward content creators, which Apple produces in comparatively small runs. The Mac Pro (2013) is set for a refresh in early 2019 Apple announced last April. Lenovo also assembles ThinkPad and ThinkCentre computers at a Whitsett, North Carolina manufacturing plant. The Chinese company opened this facility in 2012 for faster shipping to its US consumer base. HP has at least two stateside assembly plants for its computers. A facility near Indianapolis assembles HP workstations and commercial desktop PCs. A Texas facility near Houston assembles HPE ProLiant servers. Bear in mind that computers assembled in the U.S. are comprised of components shipped in from all over the world. Unless you custom-fabricate your own circuitry, it is next to impossible to build a PC exclusively sourced from North America. The mainstream supply chain for parts and components is predominantly of Asian origination. This is why the cost of finished systems and computer prices are affected by US tariffs on China even if some assembly takes place domestically. Are there any computer components made in America? Yes, there are. However, not every part of these components is made in America. Finished components like DRAM and SSDs use domestically-produced NAND wafers. The other parts of the component—circuit boards, controllers, and assembly—are imported from around the globe, mainly China. Intel manufactures microprocessor wafers in several U.S. fabrication plants. A Chandler, Arizona facility makes 14 nm and 32 nm microprocessors. Plants in Hudson, Massachusetts and Rio Rancho, New Mexico make 22 nm and 32 nm microprocessors respectively. A Hillsboro, Oregon plant makes development wafers. Micron has manufacturing facilities outside of Salt Lake City, Utah and Boise, Idaho. It shares the Utah location with IM Flash technologies, which makes flash chips for their solid-state drives. These chips end up in DRAM and SSDs produced under the Crucial brand. Mushkin boasts a USA-made status on its packaging, and has a manufacturing facility outside of Austin. The company sources NAND wafers from Micron for use in Mushkin SSDs. Samsung manufactures some of its NAND Flash memory chips in a $17 billion, 160-acre plant Austin, its only facility outside of Asia. Patriot Memory assembles DDR RAM and USB flash drives at the company’s Fremont, California plant. It also has manufacturing facilities in Taiwan. PNY Technologies manufactures DDR memory, graphics cards, and solid-state drives in a manufacturing facility in Parsippany, New Jersey that features one of the ten largest solar power installations in the US. Beyond these semiconductors, however, there really is not much in the way of computer hardware manufactured in the United States. Are there others that I have missed? Let me know in comments about other computer hardware companies with manufacturing operations in the U.S. This article was originally published July 2, 2015. Updated Sept. 27, 2018. 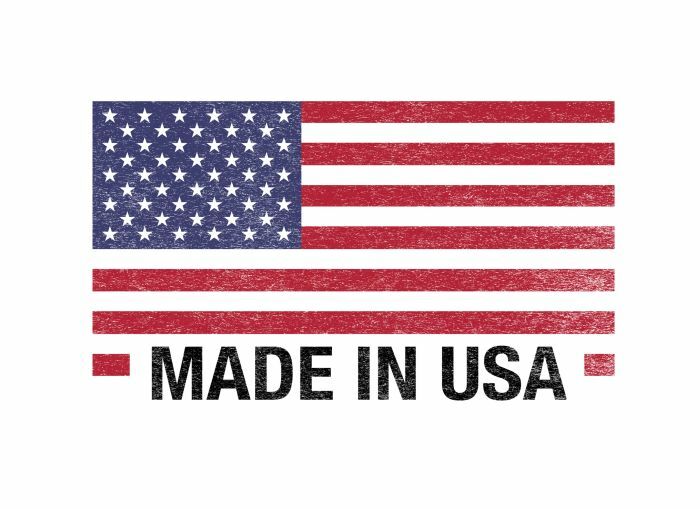 Are there any computers and hardware components made in America? A rundown of tech companies with US-based manufacturing. Unicomp manufactures and produces keyboards for IBM IN Kentucky. They are a bit more pricey, but it’s worth it to support the US economy. it’s on the editorial calendar, and I will notify you when it goes live later this month! I’ve been trying to do a mock-build of a PC made from US-fabricated parts. I asked around the PM team at Newegg, and I’ve learned getting a US made motherboard is basically unheard of in the components game. Find anything on your end? Any action on this front? Given some of the ZTE and Huwei Revelations, idI like to find a PC made somewhere other than China. I would be interested to know if you have any updates on this. It looks like the US needs to start manufacture all major computer components for computers and servers as the latest news out is that China is putting spy chips on computer boards. Please consider adding Trenton Systems to this list. We design, manufacture, assemble, integrate, and support our rugged, high-performance computers right out of Lawrenceville, GA. We are the only company, as far as I am aware, that actually MAKES our own processor boards, backplanes, motherboards, and chassis right here in the USA. I used to make Ram sticks of memory and put then together under a microscope for a company called Amp Incorporated in Abbitstown Pa. BUT THEY Closed down around 2003. I WORKED There back in 1994. Back when No one was on the internet .